Whether you are moving a studio apartment or a large family home, organizing a move is not an easy task. After finding an excellent new apartment that perfectly accommodates your needs, it’s time for you to make some moving arrangements. Moving a studio apartment is no joke, so make sure to plan it thoroughly. 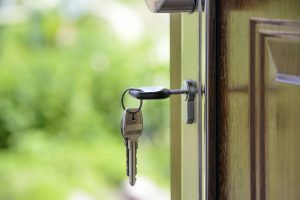 No matter how exciting, transitioning to a new home may present you with a unique set of challenges and difficulties. Being aware of those potential setbacks may help you make the most of your resources and time leading up to moving day. As we all know, timely preparation is of utmost importance for a trouble-free relocation process. People living in small studio apartments know that proper room management and resourcefulness is very important. As a matter of fact, many NYC residents have mastered the art of moving a small studio apartment and some of them are really good at it. Moving to a smaller apartment is not only about downsizing. While it’s important to estimate your necessities correctly, embracing a new, minimalist lifestyle is a new mindset you will have to adopt. 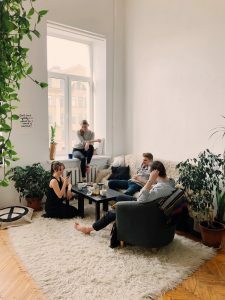 As much as you are emotionally attached to your belongings, moving to a small apartment provides a unique opportunity for starting a new, clutter-free chapter in your life. If you’re in a time crunch, take a look at the following tips to stay on track with your moving responsibilities. Hopefully, all the people moving a studio apartment will find our suggestions informative and inspiring. It’s no secret that keeping a small studio apartment neat and tidy can be really challenging. Clutter tends to accumulate quickly, but unfortunately, it cannot be tucked away due to the lack of space. And before you know it, an already existing storage space will be filled to the brim. As it turns out, a well-kept studio apartment is a matter of a good organization. So, take an inventory of all your belongings to figure out what to keep and what to leave behind. While most people have trouble letting go of sentimental clutter, there is something liberating about purging and starting afresh. Moving a studio apartment may face you with limited options you may use to your advantage with a bit of creativity and resourcefulness. Moving fewer items will give you the possibility to have a clean slate you’ve always wanted. So, be realistic about your personal needs when deciding your items’ destiny. 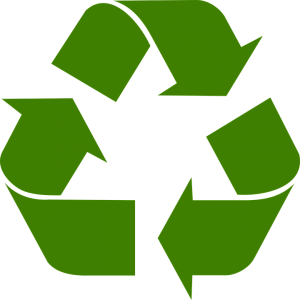 Aside from tossing and giving away, consider recycling before you move. That way not only will you free yourself from unnecessary items, but also perform a green, eco-friendly move. If there are some furniture pieces you cannot part with, consider renting a storage facility NYC where you can keep them safe for a determined period of time. In the meantime, you can decide what to do with those items that cannot fit into your new studio apartment. And consider the following statement as your moving mantra – the less stuff you move, the more space you will have at your new place. Having determined the number of items that can fit into your new studio apartment, consider creating a room layout. That way your movers and helpers will know where each box belongs and you’ll be able to make some space-saving arrangements as well. Finding a perfect apartment that meets your needs in terms of size, location, and overall comfort can be a major challenge in big cities. But, if you’ve decided to compromise on the space size, here’s how you can make the most even of the tiniest studio apartment. With just a few clever tricks you may keep clutter at bay and make your studio apartment look spacious and tidy. Create a hidden storage area and keep track of the items you are going to put there. 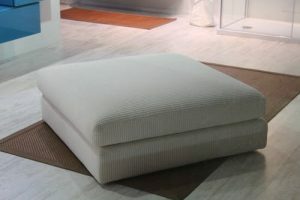 A bed with secret storage underneath and armchairs with high legs can be a wise investment. Use multi-functional furniture like pull-out couch or coffee table to save some precious space. Use room dividers to separate living and sleeping spaces and provide visual boundaries between different functional spaces. Make use of the wall space by choosing vertical shelves, cupboards, over-the-door organizers for shoes and toiletries. Purge and clean relentlessly on a regular basis so as to prevent unnecessary items from piling up. Disguise your appliances to make a room feel more spacious and stylish. Place your furniture strategically so as to maximize your living space. As counter-intuitive as it may seem, a few larger pieces of furniture can make a room look more spacious. Provided that you’ve gathered a group of physically prepared friends, moving a studio apartment across town shouldn’t cost you too much. With an appropriate moving vehicle, enough manpower and adequate moving equipment your move may be a breeze. On the other hand, moving long-distance may require a completely different approach. Renting or driving a moving truck only could be a viable option, but it involves further arrangements and potential complications. While it may seem like the cheapest option, considering all additional expenses and possible risks it doesn’t have to be actually the most cost-effective idea. It should come as no surprise that a reliable moving company can ensure your peace of mind even when moving a studio apartment. Moving is stressful enough without having to deal with all the tasks by yourself. Luckily, there are professionals who can take care of every stage of your move at a reasonable price. By performing timely research you may spot some of the most reputable moving companies that can meet your requests. A recommendation from a friend can always go a long way toward having a stress-free relocation. Alternatively, take your time to read online moving reviews. Hopefully, you will spot an honest moving company that offers reasonably priced moving services.